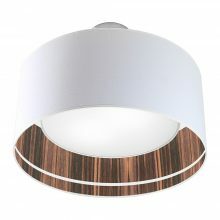 This seemingly mild-mannered pendant has a hidden surprise of Rhythmic bands of warm wood nested inside. Available in 4 sizes and wood options. 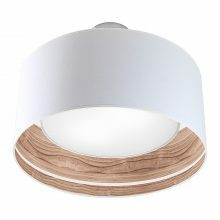 This subtle drum shade pendant lamp has a stylish surprise. 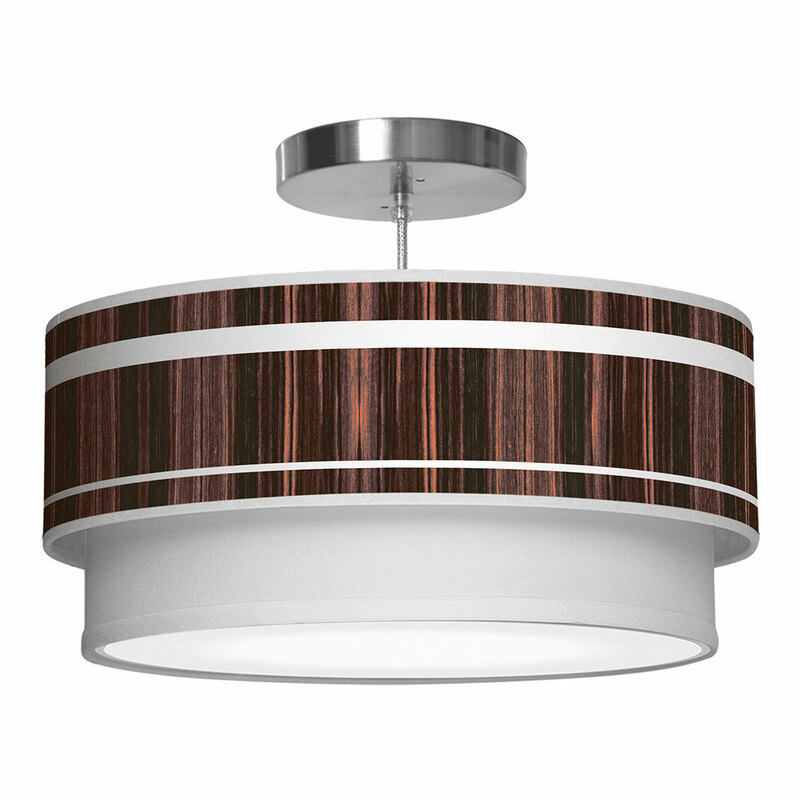 Rhythmic bands of warm wood embrace a sleek and modern design. WE digitally print Each image onto a shade of crisp white linen. the inner shade fabric bottom gently diffuses light. they are translucent when lit. 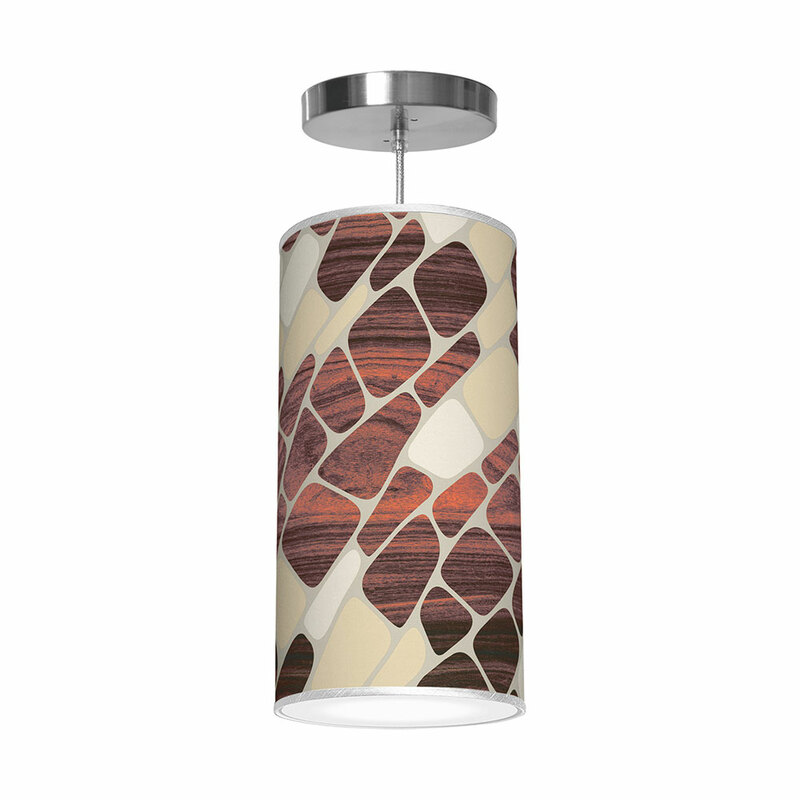 These modern, printed shade pendants enhance both the beauty of the wood grain and your space. 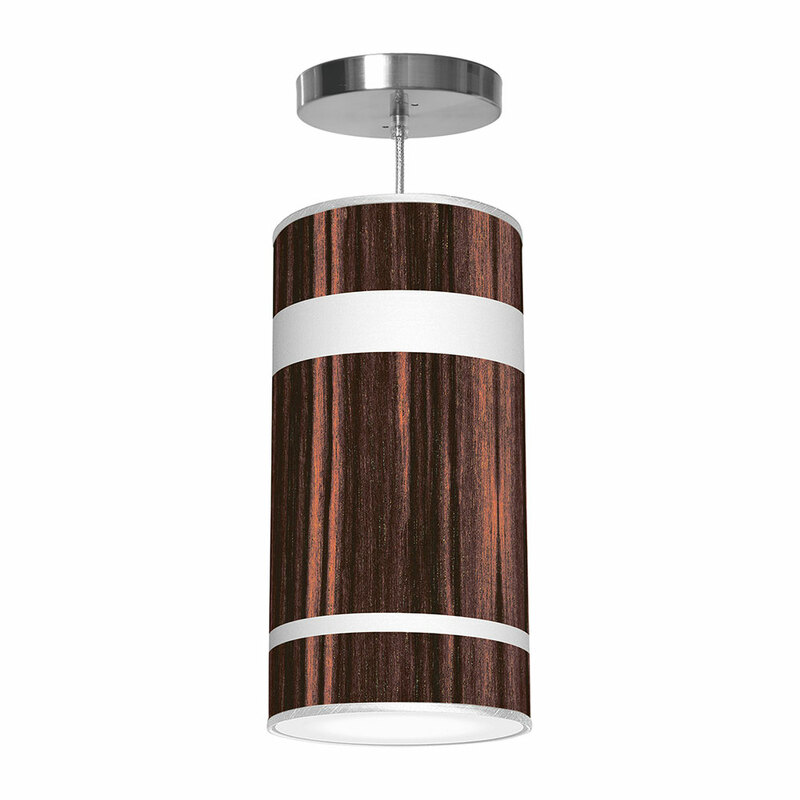 as a result, our lamps complement modern, contemporary and transitional environments. both the texture of the white linen shade, and the wood design, relate to the other fabrics and furniture in your home, creating harmony and balance. 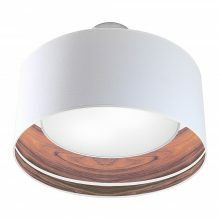 we manufacture our timeless, yet modern, lighting in the US, at an affordable price. our work explores the relationship between simple, mid-century modern forms and nature-inspired imagery. 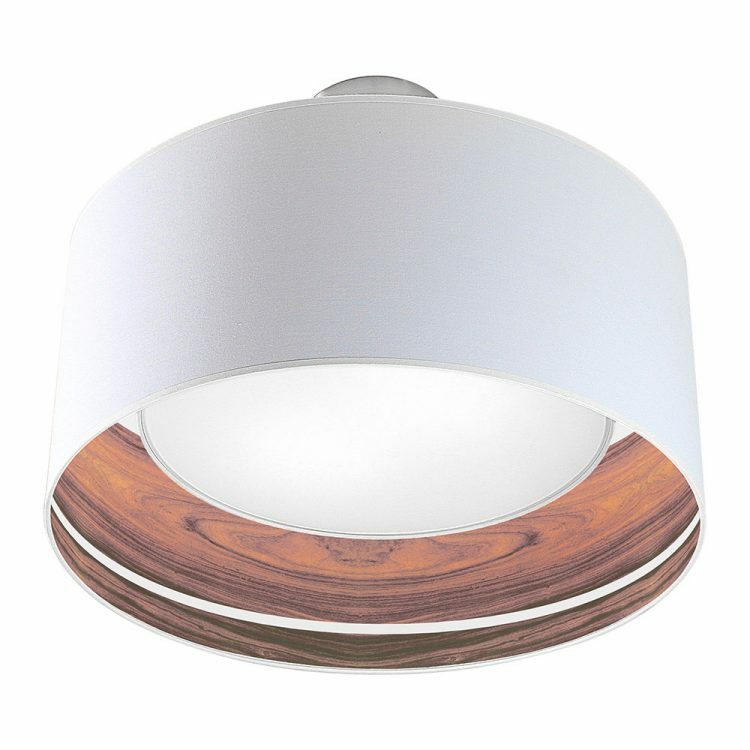 as a result, our pendants bring a little of the the outdoors inside. we believe an artfully designed home creates a serene environment. one that quiets the noise of the world and allows us to be at peace. 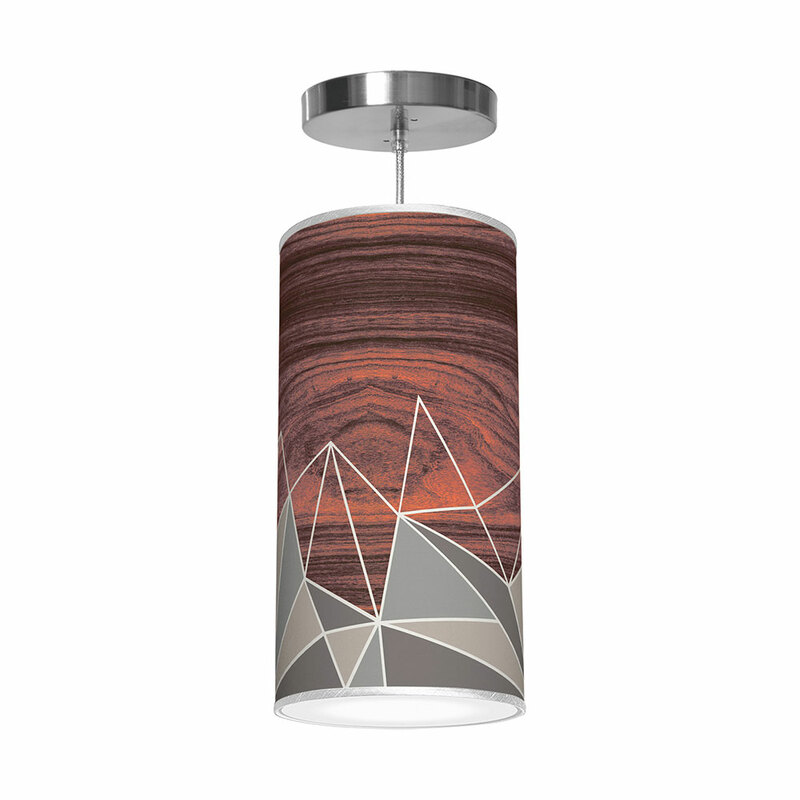 our printed shade lamps, created with organic modern patterns and iconic shapes, produce a calm, soothing space. above all, our goal is to create a design object, with lasting impact, that will enhance your surroundings.